I recently broke my right foot in a fall. Even though I was fitted for a boot, I had to be on crutches for three weeks. I was completely helpless. The people I work with are such fantastic people. They took turns driving me to work and home, taking me to my doctors appointments, and helping me with my work. It is so important to help people in need. It made me think about the people I have met along the way in my life. They come into your life for awhile and then they move on or you move on but the impact they had on your life is forever. Take the time to be kind to one another and give a hand up when someone is down. HI. Welcome to my Website. Growing up in Oregon during the summer we would put the tent up in the yard. It was filled with sleeping bags and blankets and pillows and a flashlight. 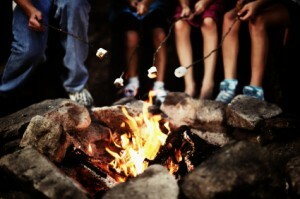 We would gather in the dark of night and tell ghost stories. The objective was to see who could tell the scariest stories. Let’s just say, there were many nights when no one slept. I am an avid Stephen King fan, but I still like to read just about everything I can get my hands on. I often find myself with an older book in my hands. I like literature like Faulkner. I write female driven mystery/thrillers. I have two completed manuscripts which are outlined below. Who Is Janie Davidson? is the story of a young girl whose parents have died and she is thrust into a world of horrible things. As a young woman her world comes crashing down around her and she discovers she is not who she was raised to believe she was and finds herself on the run from someone who wants her dead. But there is also someone who needs to keep her alive. What is the purpose of wanting her dead, or keeping her alive? Does she survive? Will she find out who she is? What will become of her? 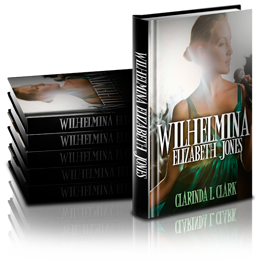 Wilhelmina Elizabeth Jones is the story of a young woman who lives her dream of joining her father and his band on their summer tour. Her father is the world famous rock star, John Thomas Jones. Little does Wilhelmina (who her father calls Willie) know that John Thomas has a deadly past that no one but he and Wilhelmina’s mother, Maggie, knows about. A mysterious woman has risen out of this past demanding a key that she claims John Thomas has. Wilhelmina becomes the pawn in this struggle and is subsequently kidnapped by the mysterious woman. On the same day John Thomas and Maggie’s small plane disappears over the ocean and they are presumed dead. Wilhelmina struggles with her grievous loss and finds herself in a fight to the death as she confronts this evil woman to free her family of the past once and for all. I am currently working on a manuscript tentatively titled The Snow Leopard. Our main character is, Juliana (Casey) King that involves her plight to save not only herself, but a snow leopard. Trapped in the mountains after a plane crash, they are both in danger and must rely on each other for survival. Right now, someone is shooting at them. Why? The adage ‘write what you know’ is impossible for me because I know very little about a lot of things. I am streetwise. I believe in the philosophy to write where your mind lets you go. The trick is to make the reader want to go on that journey with you. I have a very active imagination that refuses to be tamed. I never know where my next idea is going to come from. Sometimes a character just pops into my head and won’t leave until I tell her story or it could as simple as a tree that has lived for hundreds of years. Maybe the people gathered in a booth at a coffee shop. I am toying with a ghost story reminiscent of my childhood. Right now it is a short story in the making but it may turn into a novel at some point. It has to be just right to scare you…to…? As long as the ideas keep coming, I am happy to write. Right now, I want you get the chance to read them. © 2019 clarindaclark.com. Clarinda L. Clark is looking to publish. Please contact her by clicking here.